Today, I’m going to share with you my ultimate DIY brush cleaner and give you a refresher lesson on proper brush cleaning and care! If it isn’t already, washing your makeup brushes should be a permanent part of your beauty routine. 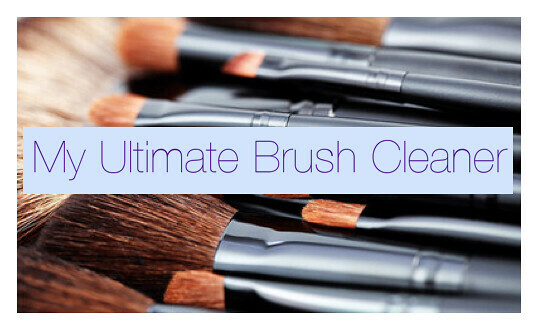 Cleaning is so important for the quality and life of both your brushes and your skin. Think about it – there is so much makeup, oil, bacteria, and dirt trapped in an unclean brush, and unless you wash them, you’re rubbing it all back into your skin…um, gross. Add a little bit of water. And that’s it for the shampoo! Now it's time to begin cleaning. Take your first brush and stir it up in the mixture in a circular motion (you should see some of the makeup start to come off in the mixture). Then wipe the brush pack and forth on your rag to release the makeup from the brush. This removes all the pigments and kills the bacteria. When you’re done, place the brush on a towel. Continue to do so until the water is clear when you squeeze the brush. Important Note: Do NOT let your brushes dry standing up with the bristles facing upwards – this will ruin them!! Water will drip down the bristles into the brush and loosen the glue holding the hairs together. Eventually, the hairs will fall out and the handle will be ruined too. Place the clean, damp brushes into the Dry’n Shape using the smallest band the brush will fit into. Make sure that all bristles are firmly compressed. Wait 4 to 6 hours and your brushes will be completely dry and ready to use! In addition to being completely dry, the bristles will be reshaped to their original form. 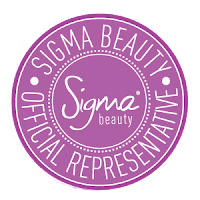 Your brushes will be perfect for your makeup application! Brush guards are great because they keep your brushes covered and protected from dust and dirt. They also help retain a brush’s shape and will preserve it for longer. You can get them from The Brush Guard if you do not already own some. To clean your brush guards, use hot water and soap – let them sit in a bowl with hot water and soap for about 5 minutes, remove and rinse off. Eyeliner brushes: daily with your foundation brushes – anything going in your eye needs to be clean to prevent infection. Happy cleaning, everyone! Your skin and your brushes will thank you!